Keri Russell, Scott Speedman, Scott Foley and the rest of the cast talk haircuts and a potential revival. I leave the house with the computer in my backpack and move to a café, thinking that after all -- despite the difficulties and fears and insecurities -- my life as a 20-something is not too bad. The problem is, things don't usually go the way we hope. And to work in a café, at least for me, means that I can never find the concentration I need to write good enough. Karen Pittman has stolen so many scenes, she should've been locked up years ago. I mean that figuratively, and man that opening line, which is still going on by the way, was pretty lame. 'The Americans' Recap: Doing Something Bad in "EST Men"
Catch up: Elizabeth has been going to church with Paige. She's learning that Paige is "open" to the ideas they need her to be open to, but not quite ready for a KGB confession. Extra work can be easy or hard. Mostly it is just boring. However, my work on The Americans was an overnight shoot so it was, at least, certain to be lucrative. Here is a breakdown of that day and night. What did I think of the film? Oh, I loved it. No, let me clarify that: I LOVED IT. But it's not really as simple as that. ReThink Review: Dawn of the Planet of the Apes -- Can't We All Just Get Along? 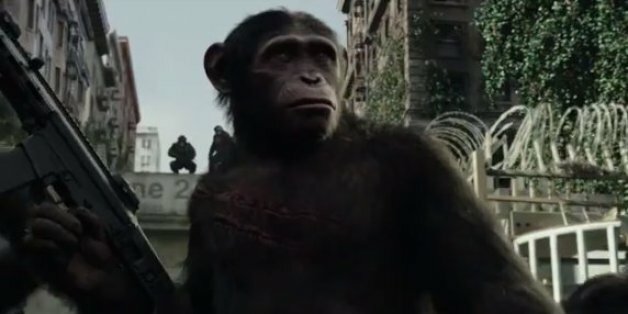 I was thrilled to watch Dawn of the Planet of the Apes, the latest chapter of a true rarity -- a big-budget summer franchise imbued not only with cutting-edge visual effects, but with a tremendous amount of soul and thought. But unfortunately, there were so many missed opportunities in Dawn that I left feeling disappointed. As director Matt Reeves has said on several occasions, Dawn depicts the moment when it could have been "Planet of the Humans & Apes" but for the unwillingness of individuals on either side to bend. If you've ever seen The Americans, then you looooooove Drunk Martha! If you've never seen the show, then it's time to hop on the bandwagon because Alison Wright can do no wrong.